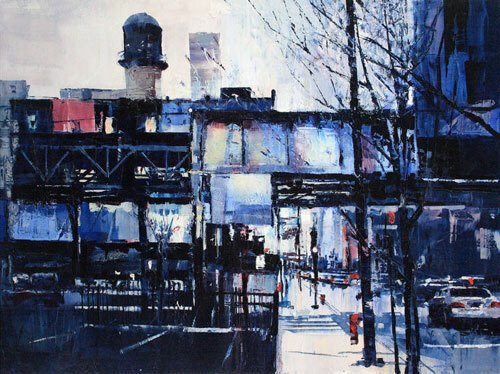 Michael Goro was born in St. Petersburg, Russia, where he earned a degree in architecture. 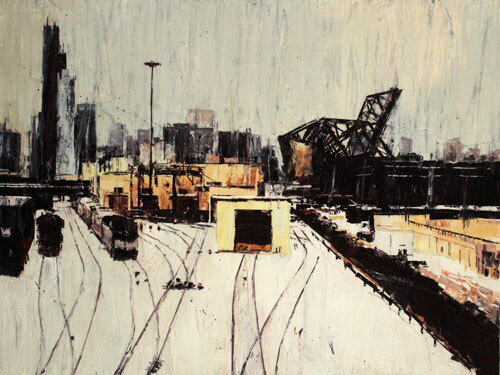 This may explain why, years later, the now Chicago-based artist is drawn to documenting urban infrastructure. 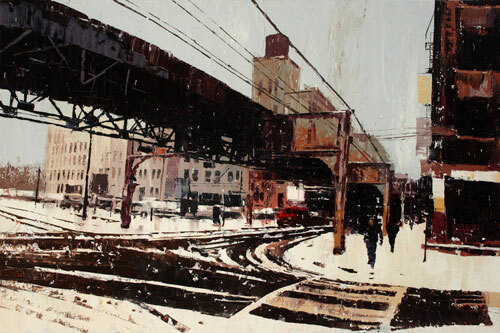 Goro received an MFA in Printmaking at the University of Illinois at Urbana-Champaign and now serves as chair of the Graphics department at the American Academy of Art in Chicago. 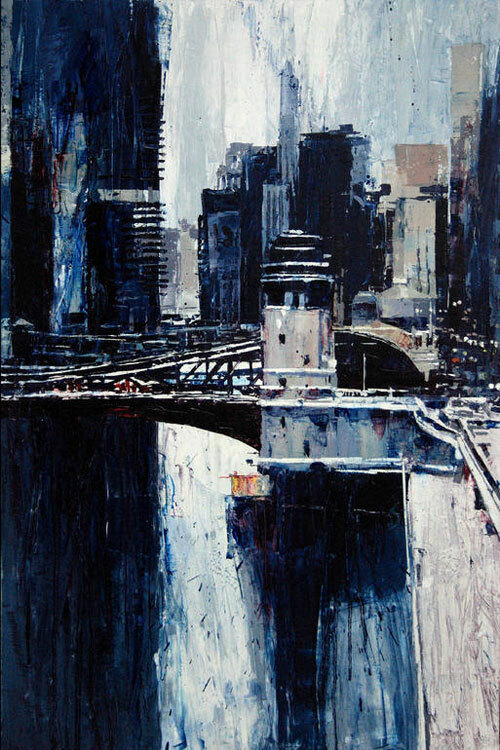 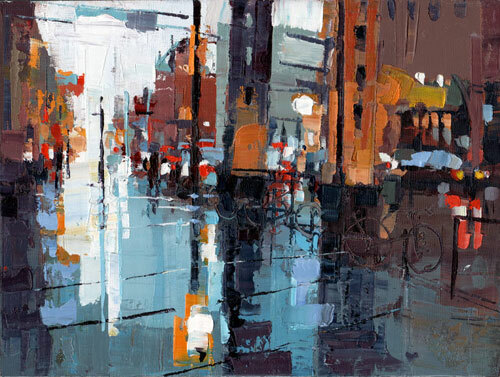 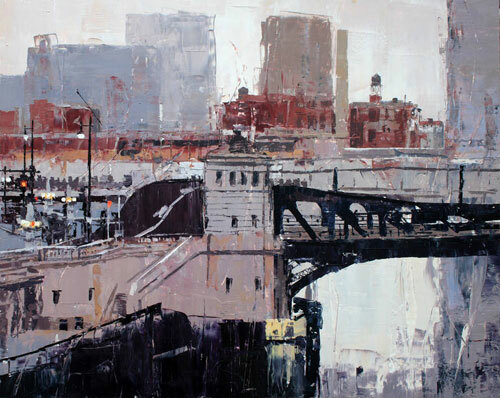 I’m just showing some examples of his urban landscapes from a much broader body of work. 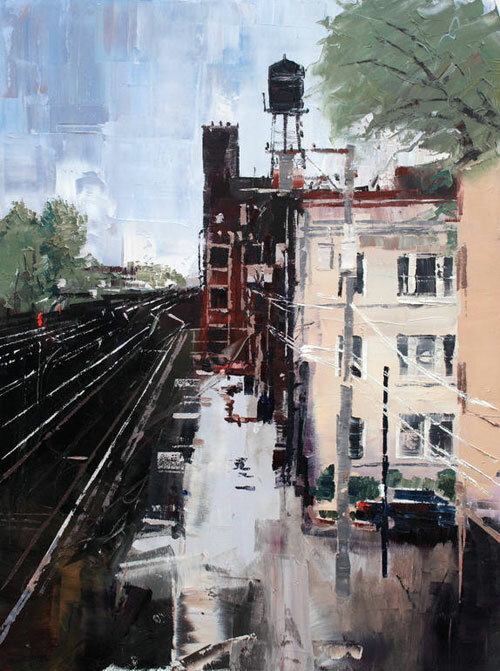 For more, check out the artist’s site, Jennifer Norback Fine Art and Saatchi Art.